The Week in Web returns after a week’s holiday. This week have an interesting approach to social media from Surrey Police, a new mobile site from the Guardian and a new website launch from yours truly. The trailer for Guillermo del Toro’s new movie, Pacific Rim, was released on Wednesday and we think it looks great. There’s lots of BAAARRRMMMMM in the trailer as well, if that’s your thing. The Guardian’s new mobile website went live a week or so ago. It’s a marked improvement on the previous version and there’s some very nice typography on show. 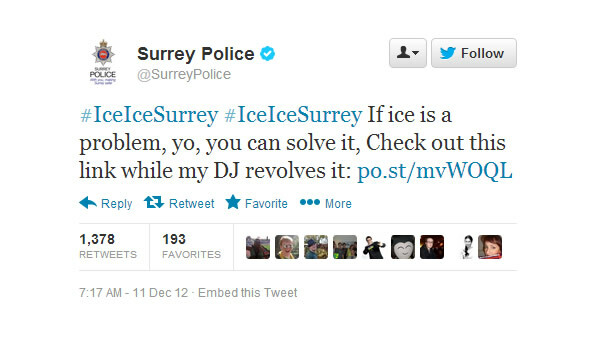 Surrey Police managed to highlight the dangerous weather conditions earlier in the week by tweeting in the style of Vanilla Ice. 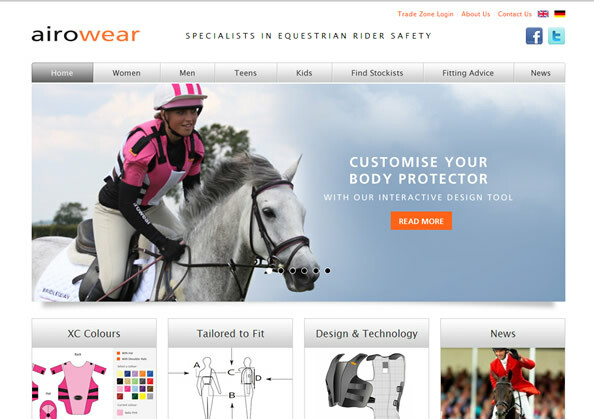 We launched the new Airowear website recently, and we’re very proud of the work that’s gone into the project. We will be posting a case study about the project soon, but take a look at the nifty XC colour tool.